The attorneys and staff at Parker Waichman always treat everyone, and especially those in need, with respect. Whether you are a current client, former client or someone who reaches out to us for guidance, you are always well-treated. Our concern and dedication for others in need is the foundation of our firm – it always has been and always will be. We never forget that those who are the victims of the acts caused by others are in need. They are entitled to not only our concern, care and guidance, but our skill, experience and intelligence in seeking justice. We work as a team with our clients, recognizing the importance of good communication. Parker Waichman insures that each client enjoys easy access to both their attorney and support staff whenever needed. It is not unusual for our team to respond to clients’ inquiries after hours or on weekends. Every client is kept well informed of developments in their case and are given straightforward and honest advice at every step in the process. We strive for the best possible outcome for our clients and their families. We make every effort to win our clients’ lasting trust, confidence and friendship. Your relationship with Parker Waichman is not just for one case; it’s a relationship that grows over the years. Whenever you turn for help or guidance, Parker Waichman will be by your side. Have you been injured in a car or work place accident? One moment can change your life. Our personal injury lawyers understand the devastating effect an accident can have on victims and their families. The very thought of insurance companies and lawsuits may have you feeling overwhelmed. But you don't have to fight alone. Our experienced accident attorneys are here for you. Nearly 250,000 victims die annually due to medical malpractice, and health care professionals must be held accountable for mistakes. A similar number of nursing home residents are the victims of abuse and/or neglect each year, and negligence by nursing home staff is a long-term, on-going problem. Our experienced medical malpractice and nursing home abuse attorneys are here for you. Some of the drugs produced by the pharmaceutical industry aimed to help you are just as likely to harm you. 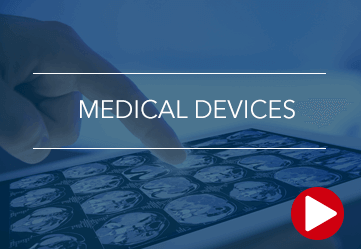 Medical devices can save lives too, but if they are defectively designed or not fully tested can result in further injury or even death. Injuries from toxic exposure can be very serious especially since they often arise from an unknown or unexpected source. Our experienced attorneys are here for you. The VCF provides financial awards for WTC responders, survivors including those who lived or worked in the “crash site area”, and certain others exposed to 9/11 debris and toxins. Our experienced attorneys have assisted thousands of clients in obtaining millions in compensation. We can guide you through the paperwork and evidence needed to file a claim and obtain maximum compensation. We depend on products such as medical devices, over-the-counter medications, or prescription drugs to improve and extend our lives. 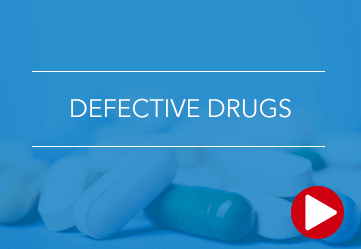 However, a few manufacturers will put profit over public safety by bringing an unsafe product or pharmaceutical into the marketplace resulting in horrific, permanent side effects or death. Why Trust Us With Your Case? Are consultations free? Will my case settle or go to trial? How much is my case worth? How do my medical bills get paid? Do I need an attorney? Is there a time limit to bring a lawsuit? How long does a lawsuit take? Should I speak with the insurance companies? Do I need to pay attorney’s fees up front?